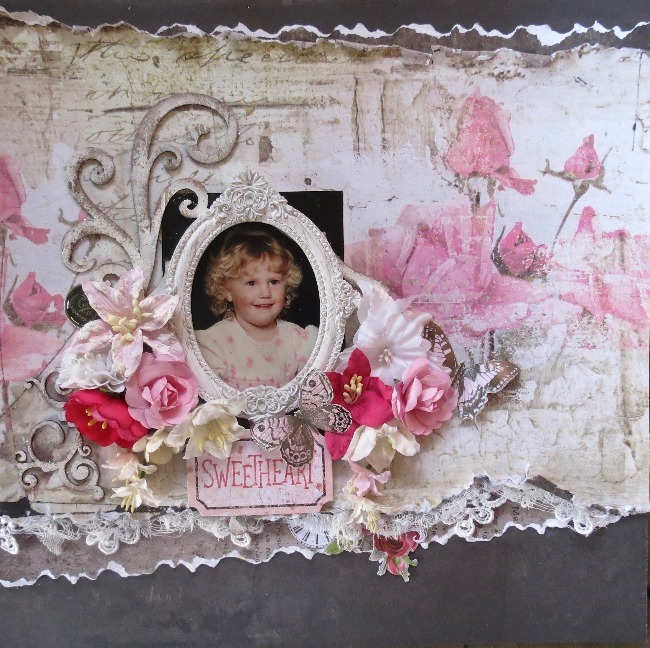 Today as the title says, I have three layouts to share with you using the new Tattered Walls Collection. This collection is fabulously versatile to use! 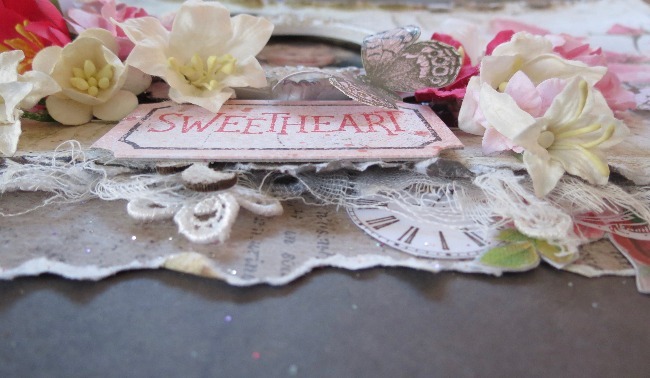 I played with some mixed media colours in the background of The Carport patterned paper, and a little random stamping before adding my embellishments and photo. For my title I used one of the pieces from the new Ephemera packs - Sweet - and trimmed off the word Moment from the chipboard phrase Love This Moment. 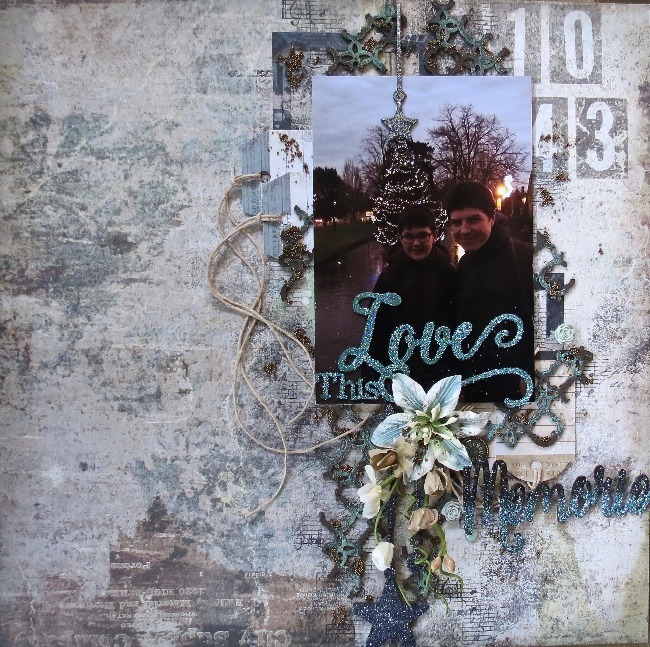 To colour my chipboard I embossed the Glam Frame with Snow embossing powder, and the Honey Bits pieces with Sparkling Navy embossing powder. I wanted the Glam Frame to surround my photo in the background but it wasn't quite large enough, so I simply cut it into four pieces, so that it just pokes out, and doesn't over take the photo. Some sprinkles of Lavender Seedlings here and there, completed the page. My second layout uses The Garage piece of patterned paper. In the design of this paper there is a seam down the page and I used this as my starting point. 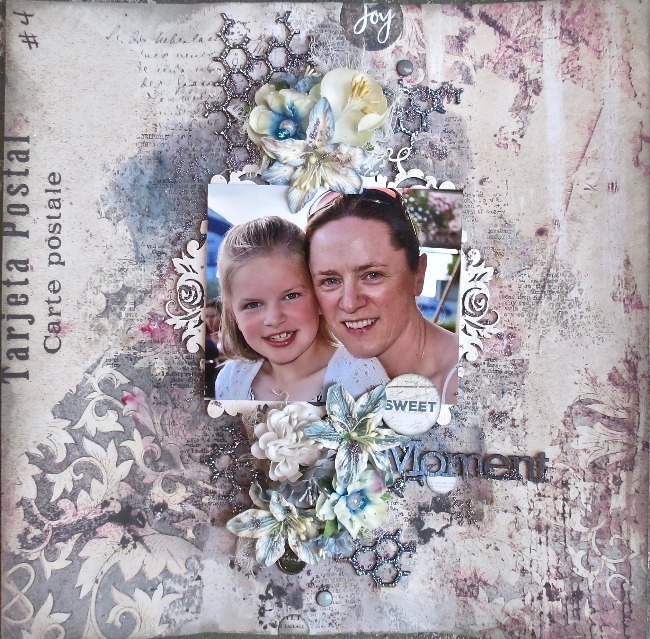 The background this time is very simple, just random stamping with archival ink using a couple of different stamps. My title is taken from two different pieces. 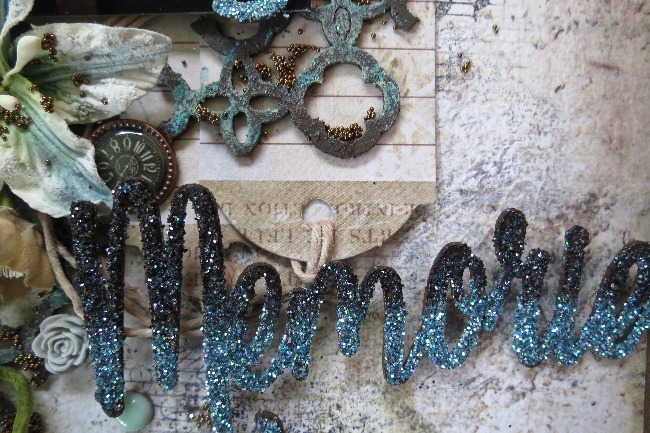 The left over piece from the previous layout - Love This - and from the 2 piece pack of Family Memories, I took the word Memories and trimmed off the S. Both pieces were then covered in Glitter. To make the word Memorie stand out more I inked the top half in black archival ink. 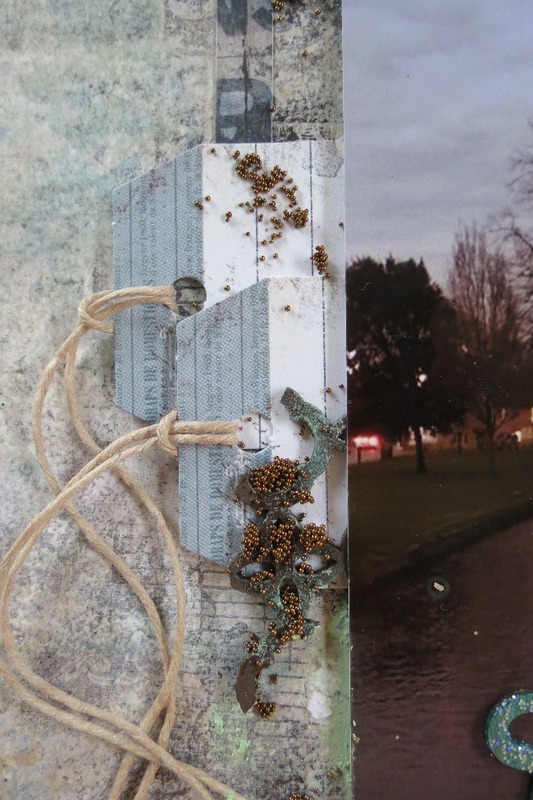 A couple of tags and photo frames from the Ephemera pack popped out the side and some twine threaded through, layered with chipboard pieces added further dimension and interest. 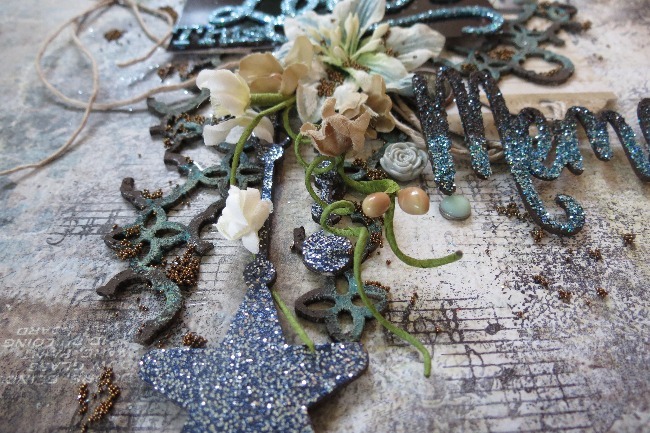 Chipboard this time was either glittered with Blue Ice Glitter, embossed with Sparkling Navy, or coloured with rust pastes to mimic the colours in the paper. 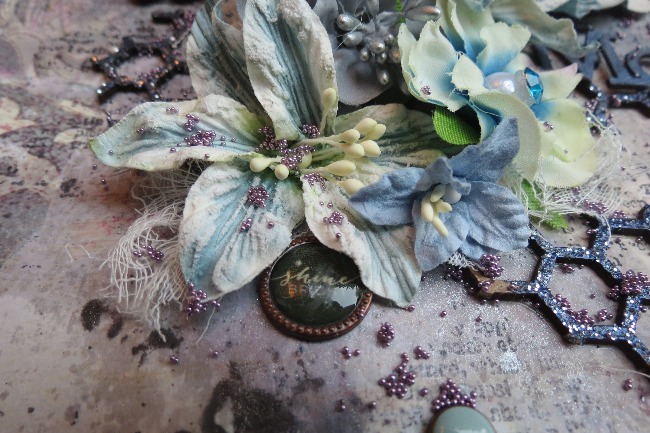 Some of the lovely Wanderlust Lillies - Im so addicted to these beautiful flowers! - and some more seedlings sprinkled over the page, finished it off. My final layout today uses the The Maids Room and the B side of Apartment B ;) You can see three layers of paper but there is only two pieces used, I just used the back and front of The Maids Room. I really didn't want to detract from the beautiful floral graphic, so there is no stamping, mixed media or seedlings on this layout. 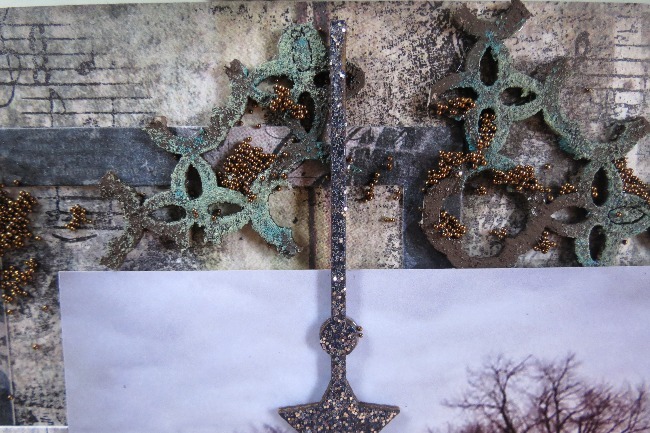 I even used chipboard from a previous collection, and fussy cut the floral clock cluster from the packaging, tucking it into my ripped layers. 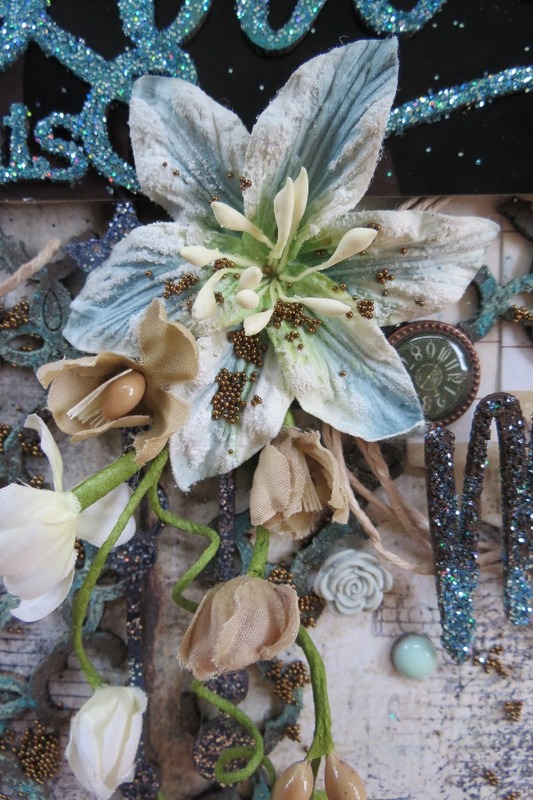 Theres those beautiful Lillies again ;) The chipboard this time is roughly painted and then inked around the edges. 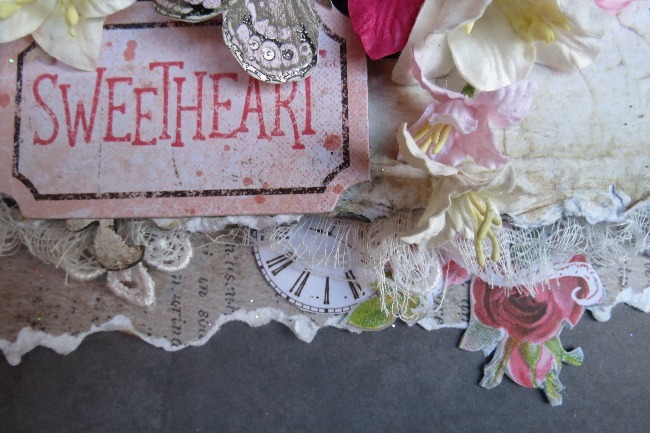 The little flourish was trimmed off one of the hearts in the Eclectic Hearts pack. 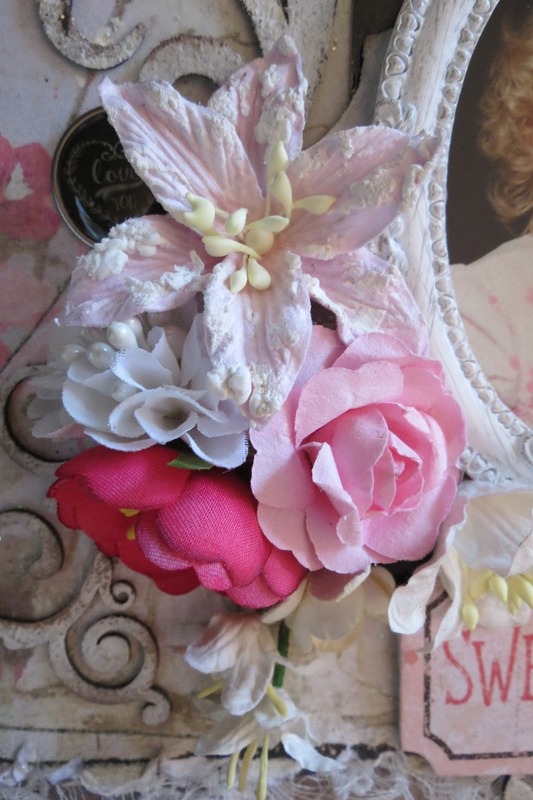 In between the layers of paper I popped some distressed muslin and some of the beautiful BFS lace.